This is not an A to Z review of the Nest or Ecobee. Other sites have done that, and maybe I’ll even do it in the future too. This is a comparison of what I like and dislike about both products, and why it makes choosing one over the other a tough decision. Over a year ago, I purchased and installed a Nest thermostat in my primary home. It adorns the upstairs hallway. It looks great, is easy to use, and integrates nicely with my Nest Cam, and Nest Protect. When I bought the cabin in Tahoe, I thought about purchasing another, but I was interested to learn more about the Ecobee, so I gave it a shot. It was also compatible with Wink (a requirement of mine at the time), looked attractive, and cost less. So six months later, here’s what I think about both of them. An easy way to see how they both fare is to compare various attributes that matter to the home owner. So here’s my list. If you think of areas I’ve skipped over, or should have focused on, please mention them in the comments. Nest (Winner) – The Nest is hands down one of the most beautiful home tech products to come out in the past several years. It looks amazing on a painted wall, and is even more attractive when it comes to life and displays brilliant colors and easy to read temperatures. Can you tell I really like it? Ecobee – The Ecobee is also a very attractive product. Curved edges, a modern touch screen, and once again, nice colors adorn this really nice product. The Nest is simply more attractive. Nest – From child to grandparent, everyone walks right up and can use the Nest. The core functioality is super intuitive, so making the house warmer, colder, or checking on the current temp is truly childs play. Ecobee (Winner) – This time the Ecobee comes ahead, barealy, but it is easier through its simplicity. One simply slides their finger up or down to raise or lower the temperature. While the Nest is a dial, there are many times where the Nest is only in heat mode, or only in cool mode, and that requires some additional clicks and toggles to go back and forth. 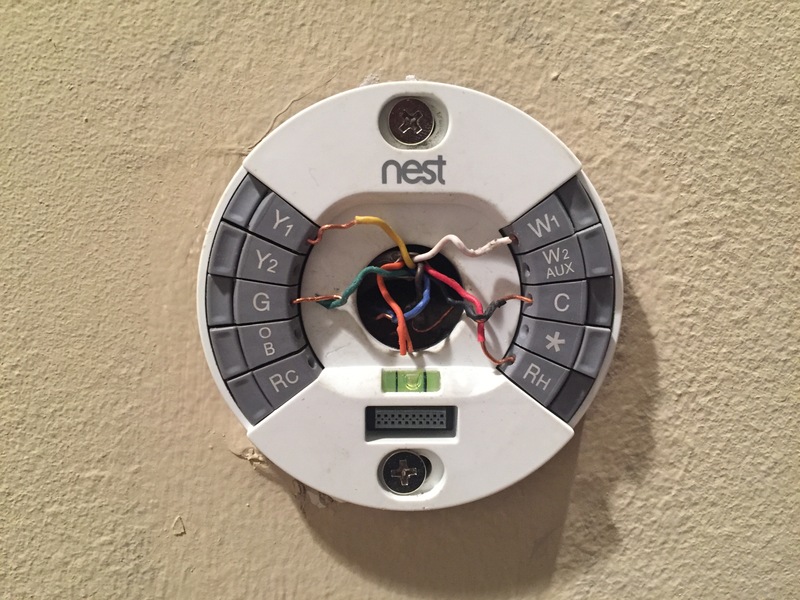 Nest – The Nest was, and still is, somewhat difficult to install. The C-wire requirement is difficult in older homes (including mine which is only 30 years old!). It requires you to find a C-wire, or convert one. The Nest phone support, while friendly, were not successful at first shot, and required several phone calls to get it right. The other challenge with Nest is that it’s a circle. Perfect for winning the Aesthetic category, but not so great when trying to install it over the rectangle cut out where your last rectangle thermostat went. Do not read these comments to mean the Nest is hard to install. It’s not, it just wasn’t as easy as the Ecobee. Ecobee (Winner) – The Ecobee is mostly square, which helps avoid major wall repair when installing it. It also came with an easier than Nest C-wire alternative which created a bypass. This was simplier, easier to install, and more straightforward for the phone support to help with. In the end, the Ecobee installed quicker, the phone support helped on the first call, and everything just came together quicker. Nest – I owned the Nest first, and the walkthrough is super helpful taking you in and out of each settings menu. Each menu is located along the dial right past the main temperature controls. it is easy to use, and guided. Ecobee (Winner) – Once again, the Ecobee simplifies things and has the configuration in the application. It’s simply the case that’s less is more. Less configuration points, makes the Ecobee easier to configure. It’s also all in one place, and didn’t require messing with hardware to toggle in and out of each menu. Nest (Winner) – The folks at Nest developed a really easy to use app that supports multiple homes, multiple Nest products, and does it in a fun, and easy to use interface. It’s attractive and I enjoy spending time in the app. I can also check on my Nest Cameras, and Nest Protects all in the same interface, making Nest a very powerful integrated solution right after Wink. Ecobee – The app pretty much mirrors the simple and friendly interface of the hardware. The touch slider is there, the colors and interface look similar. I already mentioned that all the settings and toggles are all in one easy to find and use place. However, because it’s really a one trick pony, and doesn’t integrate with other products, I don’t normally go to the app because I can control it from Wink. Nest (Winner) – Nest has Nest Weave, and “Works with Nest” as two major company initiatives to build a number of cool integrations with third parties. 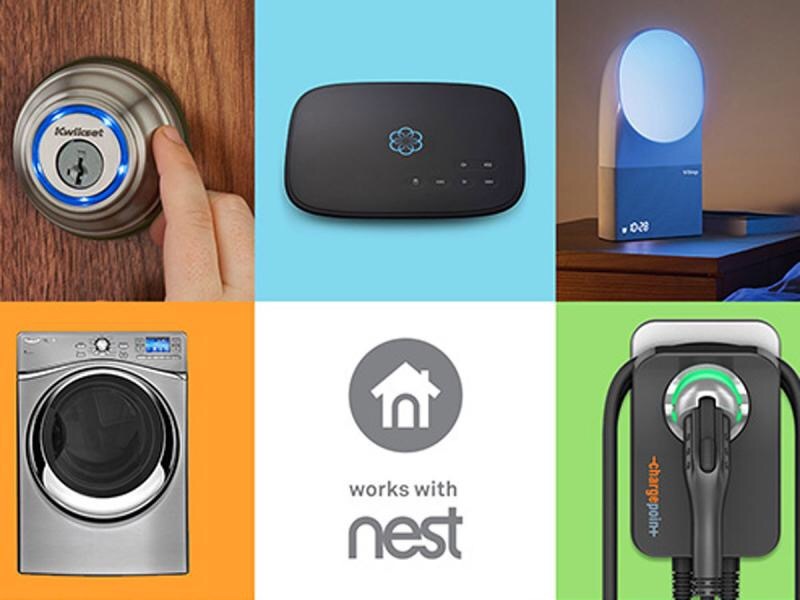 Everything from fans, to lights, to doorlocks, Nest has worked hard to integrate into the rest of your digital products. So this is a well deserved win. Ecobee – I can view and control the Ecobee from Wink. That’s really all I was looking for and I’m satisfied that it does that well. However Ecobee doesn’t attempt to build any ecosystem around its products the way Nest does. I can’t even remember or tell after install if it is Apple Homekit enabled, and after reviewing their website it looks like some are and some aren’t, depends on your revision number. So after six key categories, it’s a tie between the two. The tie reflects my current sentiment well. If I needed to buy a third thermostat, it would really depend on the context of which of the above traits was more important at the time and what other devices resided in the location. Either way, you won’t go wrong with either device, so give one or both of them a try. You’ll be glad you did.